There is not much sympathy for Tyson Fury as the world over which he reigns as heavyweight champion crumbles beneath his size 13 feet. Every morning he wakes to abuse from the trolls on social media. When he popped into Manchester Arena on Saturday to watch a pal box on the Anthony Crolla undercard he was booed as he left the premises. This is not normal treatment for someone who has just dethroned a long-presiding world champion with a gigantic upset. But then the Gipsy King is not your normal sportsman. Fury holds deeply uncompromising religious beliefs and his extreme expression of those views has offended the gay and women’s rights communities and many in the wider population. 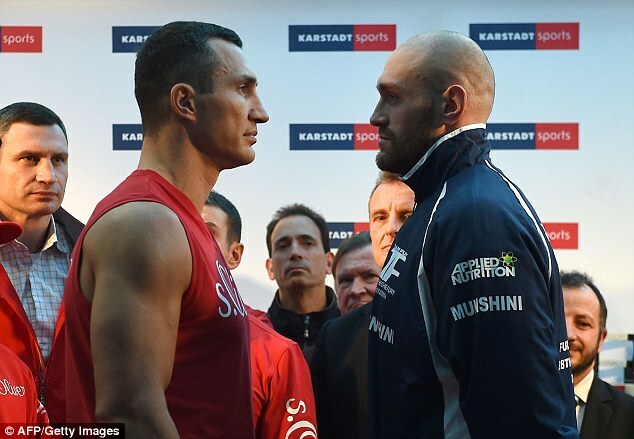 That angst has trumped his triumph over Wladimir Klitschko in the court of public opinion. The moral majority still seem to be ranged against him following his second withdrawal from a contracted rematch with Klitschko. That would be normal except that the reason tendered for this postponement is that Fury has been declared psychologically unfit to fight. Given today’s more civilised understanding of psychiatric illness, compassion might have been expected to kick in. Some may be suspicious of the explanation but more detailed information is expected to be forthcoming in the next 24 hours. With his persecution complex growing by the day, Fury blames the antipathy on prejudice against the travelling community which he is proud to represent. Paranoia is another symptom of the malaise of depression which is often hidden and difficult to comprehend. Perhaps giants do not command easy sympathy but sheer size, even when it scales 6ft 9in, is no defence against mental breakdown. Behind the bluster Fury is fragile. The evidence is there not only in his rants of outrage but in some of his recent sightings. Witnesses have suggested that the ankle injury which caused the first rematch postponement was caused when he tried to hurdle a fence to gain access to a rave. Shortly after that fight was called off he went to the south of France on impulse to buy thousands of euros worth of booze for England supporters at Euro 2016. Upon his return he visited a pub in Wales to watch matches on television. More recently he is said to have been spotted sitting on a promenade wall eating fish and chips in Bognor, which is hundreds of miles from his home in Morecambe which has its own much more convenient sea-front. Nothing seems normal in Tyson’s world. 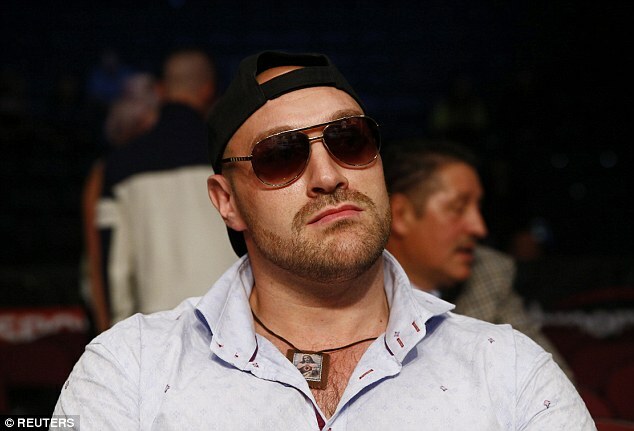 Which other boxer would become depressed at the prospect of banking a purse of up to £6million for a fight next month? Yet this one could not bring himself to go to the gym and still looks hugely overweight. 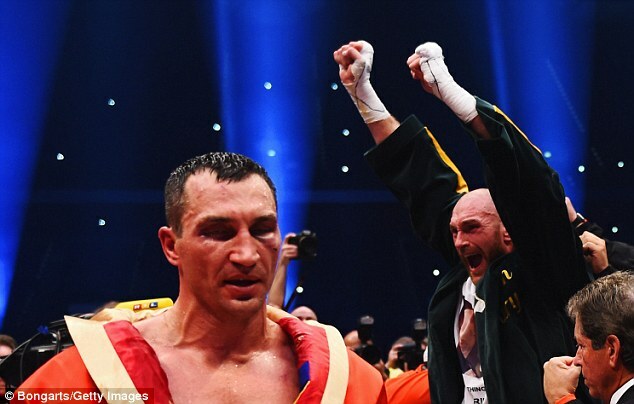 Klitschko, whose frustration is the most acute, has been restrained in his remarks although he has put the question to the sanctioning bodies as to what they propose to do about the titles he lost to Fury but which have fallen into abeyance in the succeeding year all but six weeks . The world’s broadcaster have been seriously inconvenienced, none more so than BoxNation in this country which was poised to reinforce its finances by using this fight to launch a pay-per-view channel. Consequences abound for many, himself included. That vast frame is inhabited by a man-child who, when at his most juvenile, is not fully responsible for his actions. That is not to excuse, rather to explain why he needs the help which he seems as reluctant to seek as he is to train. This is not to deny, either, a need for acceptance that not everything is everybody else’s fault and that he has lessons to learn from this crisis. There is no quick-fix remedy for the condition which appears to afflict Fury but the cure must be fully effected before any contemplation of his returning to the ring. Otherwise we may witness a harrowing recurrence of the night in Las Vegas when a former heavyweight champion with mental problems, the tragic Oliver McCall, went into weeping, paralysed melt-down in the ring while fighting our Lennox Lewis. 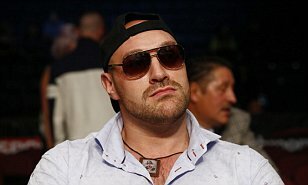 Fury is reluctant to be relegated to ‘champion in recess’ so that Klitschko can get on with the business of reactivating the titles. But that is of lesser importance than his well-being. 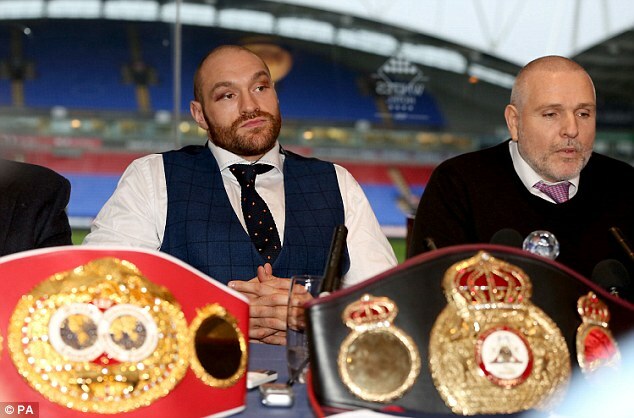 There is a real danger now of him imploding completely and never fighting again. He has frequently threatened as much, apparently from a feeling that he will never surpass the night in Germany when he shocked the world by dethroning Klitschko. However severe the judgement of some his conduct in other areas of his life, that would be a sad and premature ending for a gifted 28-year-old. 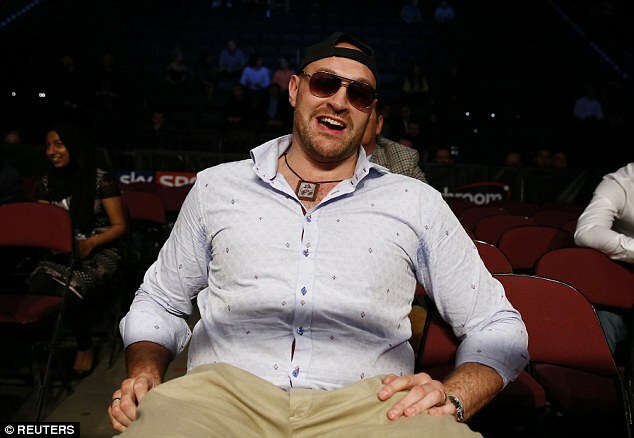 Whatever else Tyson Fury is losing, he still has his sense of humour. That is something to cling to.